This time, I've got lenses given to me to show you all ! & of course, more (self taken) pictures = more love isn't it ! 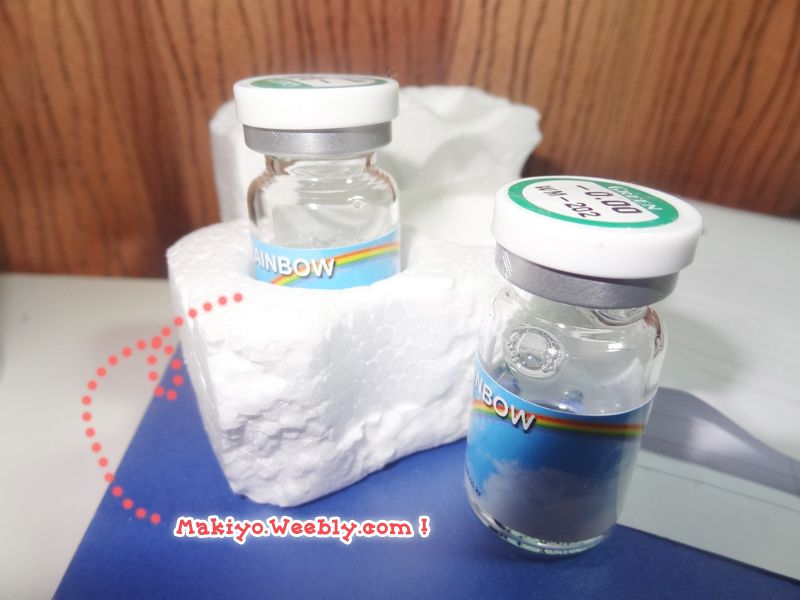 Today is about http://Makiyo.weebly.com ! They are spree-ing EOS lenses so if you're looking for places to buy lenses, this is the place for you! 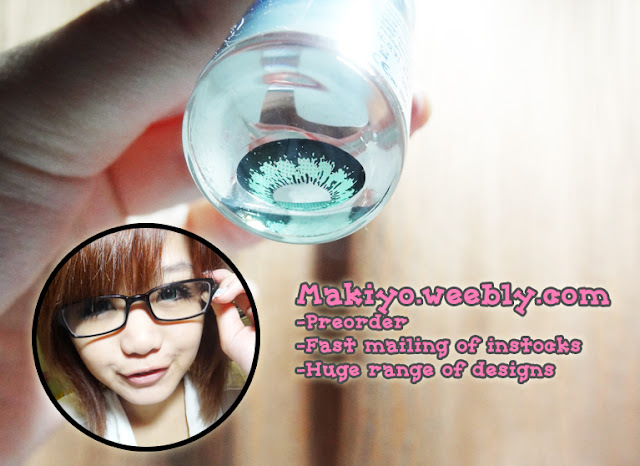 it's enlarging effect is awesome for a 14.8mm contact lens! The effect is up to 15.5mm! Especially if big eye lenses like 16mm can't fit into your eyes, this is a great alternative. The design of the lens is really cute too! Just like those you see in Japanese Magazines. I compared it with my 16mm lenses and they are almost giving the same effect. Their spree is closing on 20th March 2012! 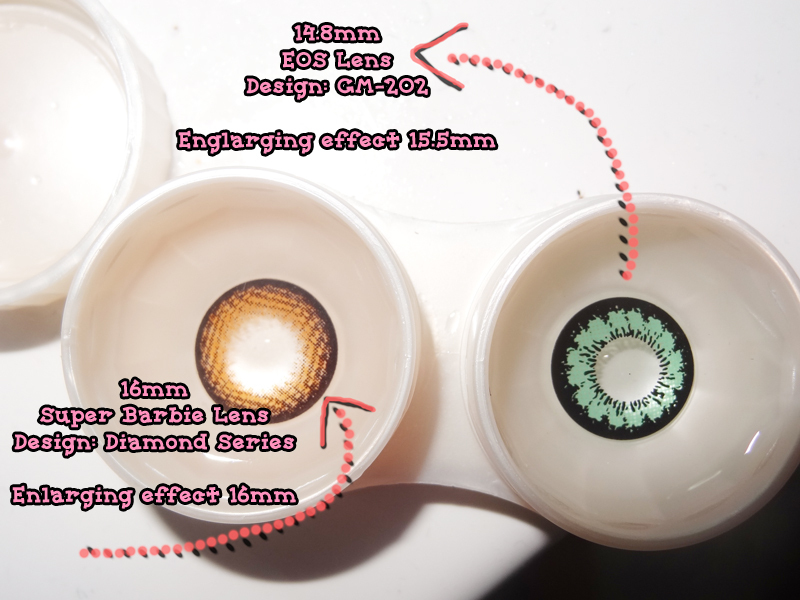 Hi Kiyomi, the lenses great look great but this blogshop is actually a scamming website. The last time i ordered from her was about 1 year plus ago, im not too sure if things changed but this is what happened. I went to the facebook page and guess what i saw? Lost of wall posts asking about their lenses and apparently i wasn't the only one with the "missing" parcels and etc. Some people even threatened to report her to the police! I'm just sharing my experience here la hope you'll allow this comment to be posted! Babe, I also didn't receive leh. She keep giving excuses and blaming her supplier. When I called her, she refused to Pick up! Trust me, she didn't mail out yours at all. She was just lying to you. I think I really like the green ones! : D : D It looks more dolly! Green look so nice on you^^!